Why would you want to make herbal liqueurs? They keep forever. Well, almost forever. If you’ve gone to the effort to pick or buy herbs, infusing them in alcohol is a way you can capture their active ingredients to use later. Plus, this is a project you can do once and enjoy throughout the year. Easy peasy. You can use them for medicine & health, if you’re into that sort of thing. 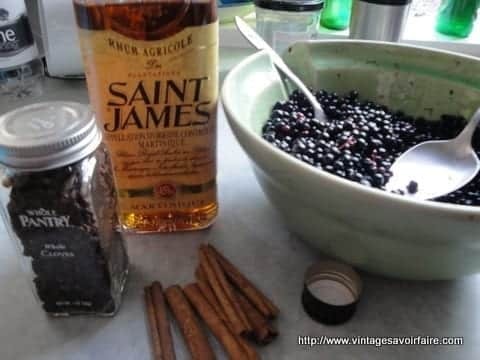 A splash of spiced, herbal rum (like the one below) or whisky with hot water and lemon would make a good winter drink when you’re feeling under-the-weather. A liqueur with fennel, anise or mint would be a good digestive after a big meal. Your friends will be impressed. You can serve cocktails made with your handcrafted liqueurs. Or decant into smaller bottles and give them as gifts. It’s super easy, and fun to do … and you can have a tasting party to test the results! Use a few tablespoons of dried herbs or spices per cup of alcohol. The sugar is a personal preference … if you want a ‘flavored vodka’ type alcohol that you’ll mix in cocktails, you might not add any sugar. For a digestive, add approx 1 TB of sugar per cup of alcohol. For a sweet liqueur, you might add as much as 1/4 c. sugar per cup of alcohol. I would err on the side of less sugar, as you can always add more later. For some ideas, check out how we made this chocolate temptation liqueur. Winter Warmer Rum is my latest liqueur experiment. I had an excess of elderberries and a bottle of unused dark rum, so I decided to get creative. I’m planning to use this rum in hot-toddies, or maybe splashed in mulled wine. Since it contains elderberries, it should have some immune-boosting properties for cold and flu season. 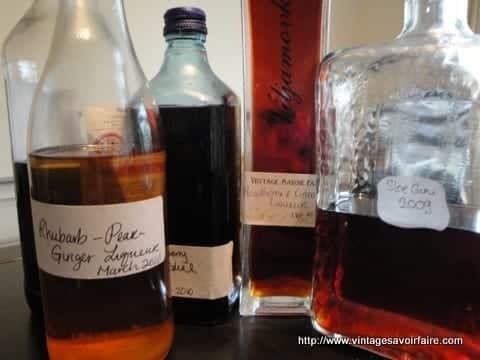 If you have ideas for herbal liqueur flavors, let me know, and we can try them on the blog! 1 c. fresh elderberries or 1/2 c. dried elderberries. Put everything in a glass bottle. Shake well. Put bottle in a dark place for one month, shaking it again when you remember. 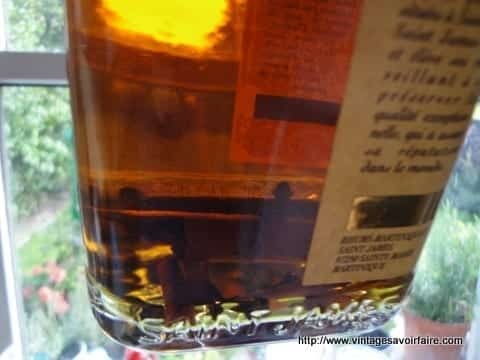 After a month, strain into a new, clean bottle. Let sit for another month to mellow. Drink straight, as a hot toddy, in hot wine or invent your own cocktail! Herbs like basil and peppermint in vodka or brandy are really good. You can use honey instead of sugar.